I would of course prefer make my usual fried fish tacos with my creamy avocado cilantro sauce but this is a much healthier version of that. 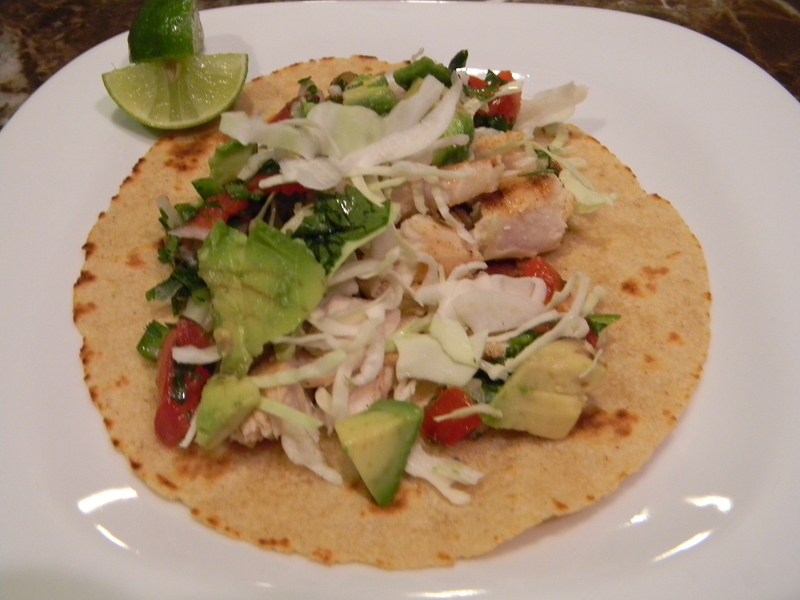 I use frozen Mahi Mahi fillets from Trader Joe’s and Mission Artisan Corn and Whole Wheat Blend Tortillas. I make these with my pico de gallo with avocado, some shredded cabbage, and a little hot sauce. Valentina is a staple around our house. These are also fantastic with some crumbled Queso Fresco or Cotija cheese (can be found in most markets). We skipped on the cheese of course, due to the diets. 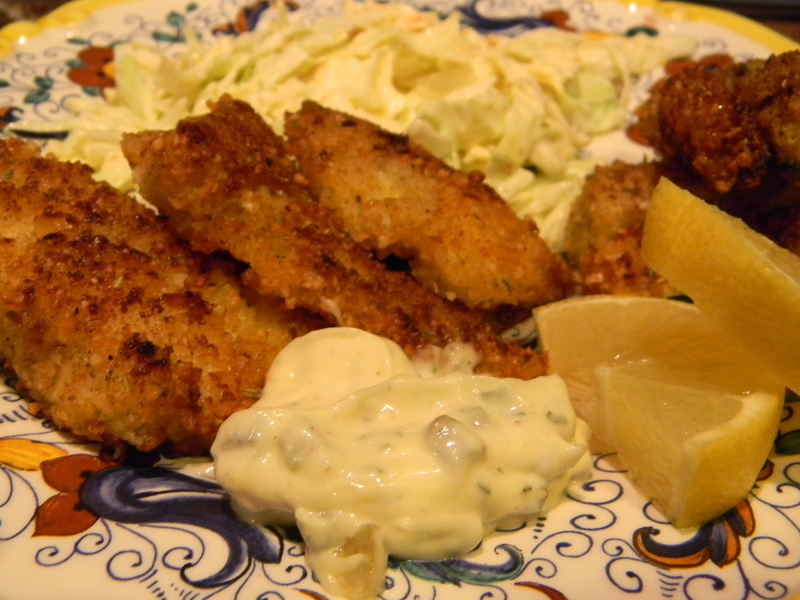 Season both sides of the fish with salt and pepper. Heat a grill pan over medium heat. When pan is hot, add olive oil and fish fillets. Cook for about 3 minutes on both sides until no longer pink in the center and flaky. This will depend on the thickness of the fillets. Roughly chop the pieces and put into tortillas, top with salsa of choice, hot sauce, shredded cabbage, and queso fresco or cotija cheese.